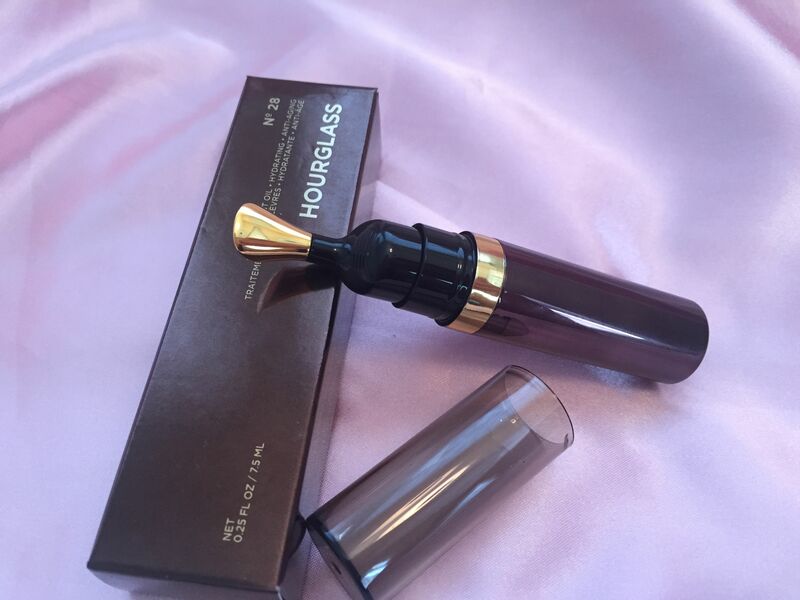 I have recently grown fond of Hourglass products. They are pricey but quality, very unusual (like their blushes), and always look like a piece of art. 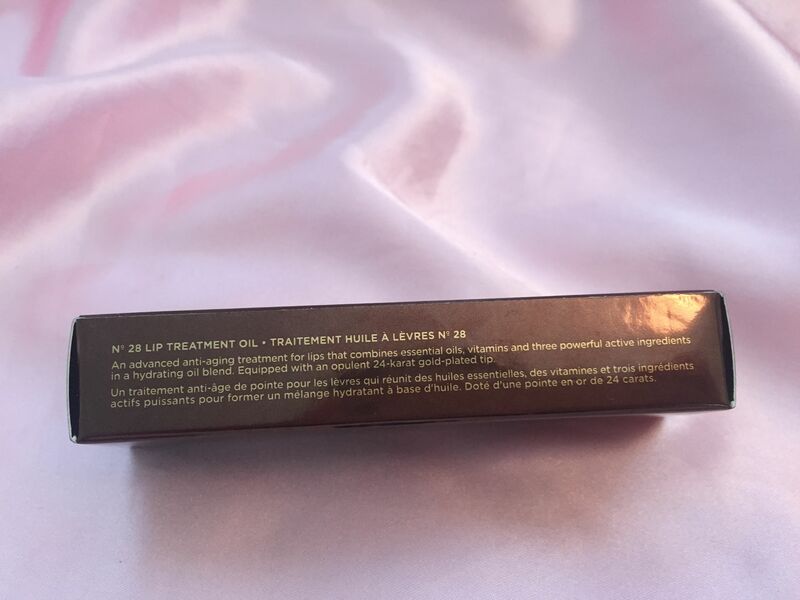 I have been looking at Lip Treatment Oil for a while – I am following pretty much all lip treatment products because of my constant issues with chapped lips. However, I hesitated to buy because, in my opinion, it is insanely priced: 0.25 oz. of lip oil cost $42. Eventually I decided to try it – winters are cold and windy in D.C., and my lips were so dry and cracked I couldn’t wear a lipstick anymore. 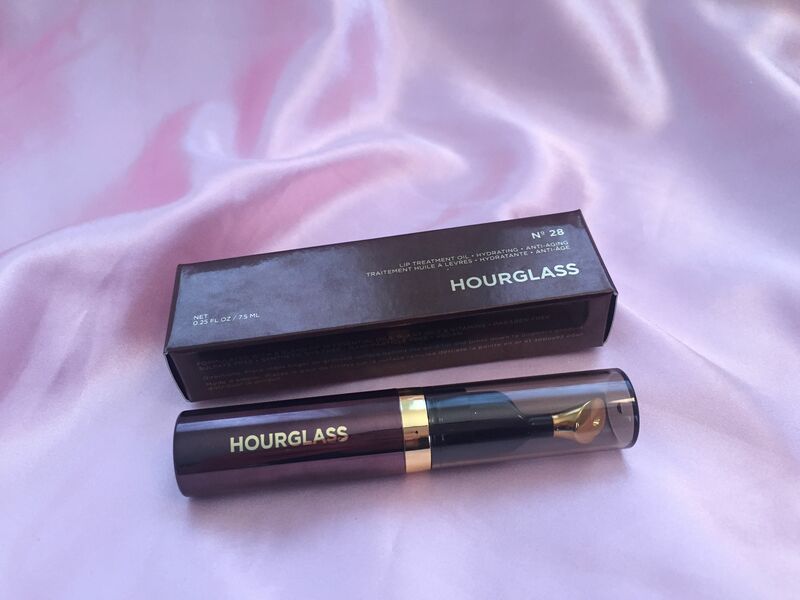 So, first of all, let me tell you what I learned about Hourglass lip oil. According to description, this product has 14 oils: from geranium to jojoba. Also, it has some vitamins, particularly, vitamins A, B5, C, and E. Finally, it has an ingredient called viamerine which supposedly helps with wrinkles. 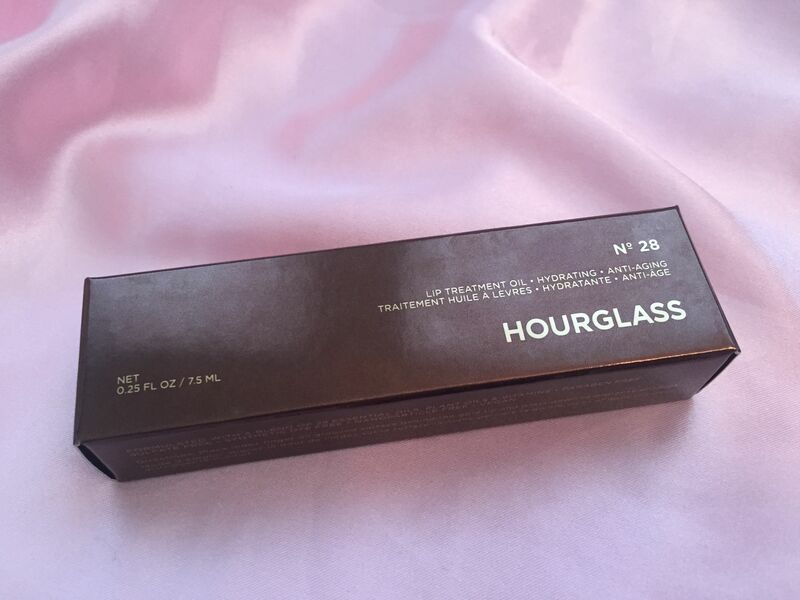 You can find more information regarding ingredients on Hourglass and Sephora websites. Also I posted a picture of the back of the box with the full list of ingredients. 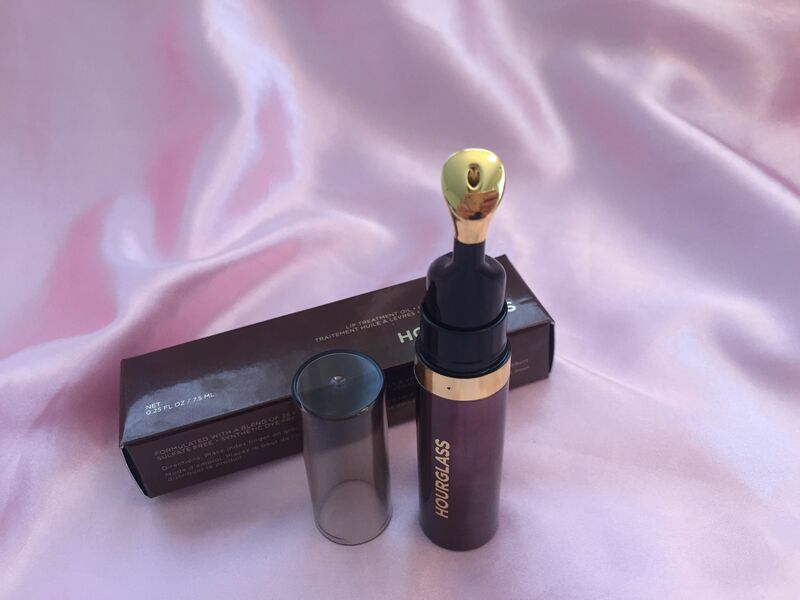 The case of the lip oil is stunning – I think it’s the fanciest and most luxurious lip treatment product I’ve ever owned. The case is sleek and classy, and the dispenser tip – oh, it’s amazing. It is gold-plated (24 karat) and antibacterial. To dispense oil, you need to remove the plastic tip and using your index finger press on the grooved surface behind the tip to dispense the product. 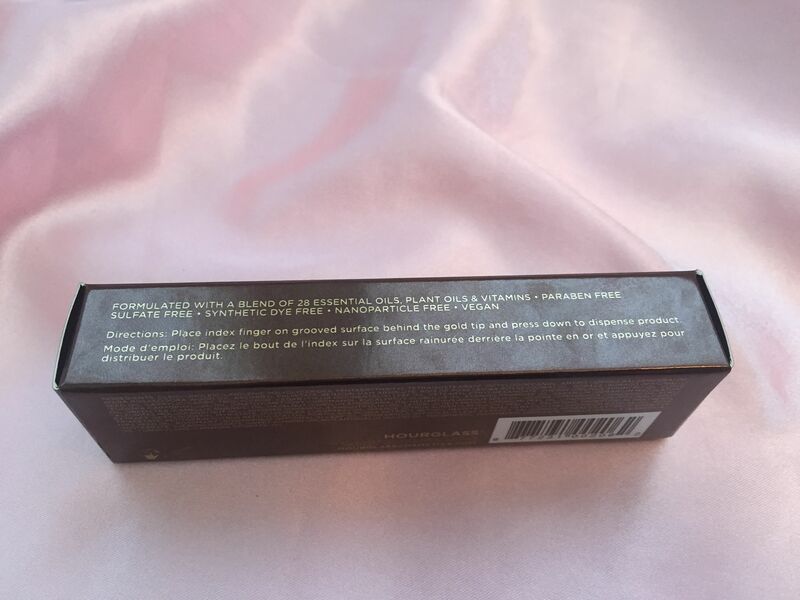 The applicator is great: it is hygienic and doesn’t tickle like other applicator wands. 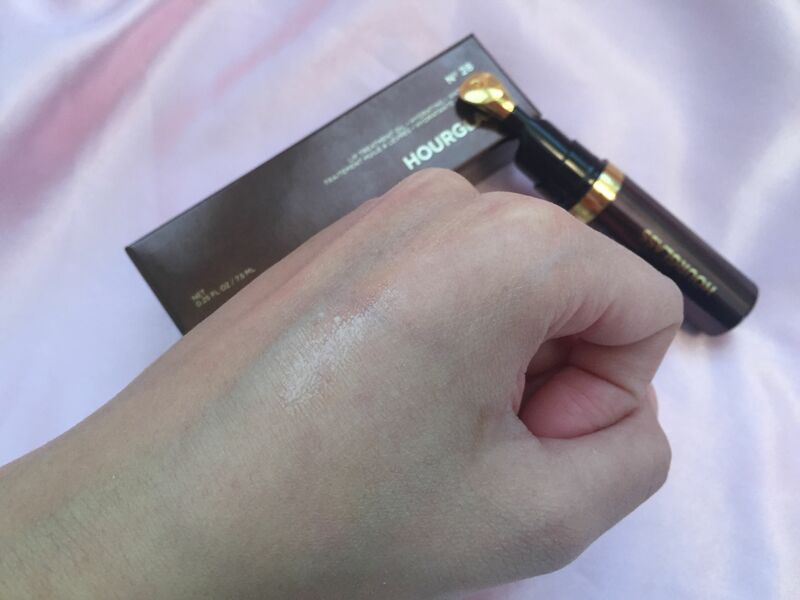 The lip oil is untinted, smells very fine and feels extremely pleasant on lips. 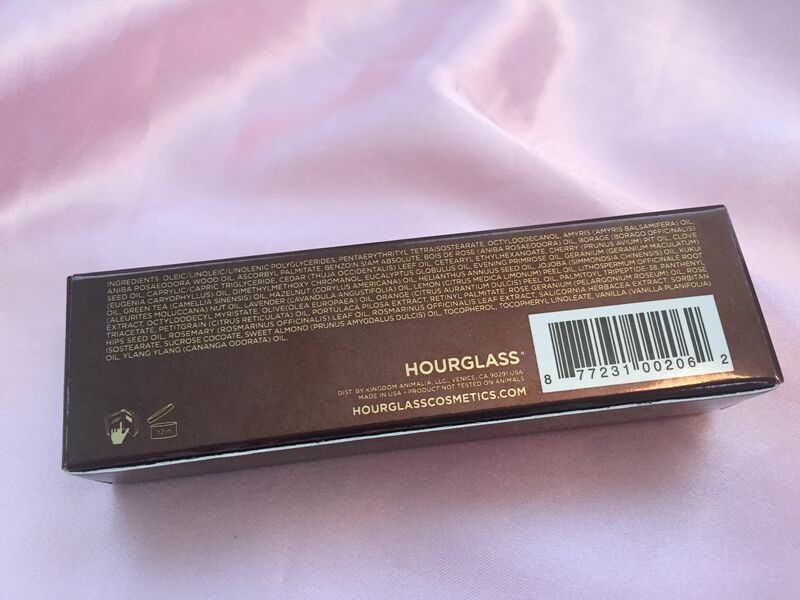 It has different texture than, let’s say, facial or body oil: it’s more dense and thicker. It feels velvety and smooth. It also feels a bit sticky but not nearly as much as, for example, Fresh Sugar Shine Lip Treatment I used once. You need just a little bit of it to cover all lip area. Prior to using the lip oil, I recommend to scrub your lips with Fresh Sugar Lip Polish scrub – the scrub will remove all dead skin from your lips and they will be ready to absorb the oil. I don’t use this lip oil before I apply lipstick. The reason is it’s too thick to serve as a moisturizing lip primer (original Fresh Sugar Lip Treatment is perfect for that). I use the lip oil mostly in the evenings when I read or watch TV – that way the oil has more time to work on my lips. The lip oil will give your lips a nice and natural shine – however, nothing to write home about. 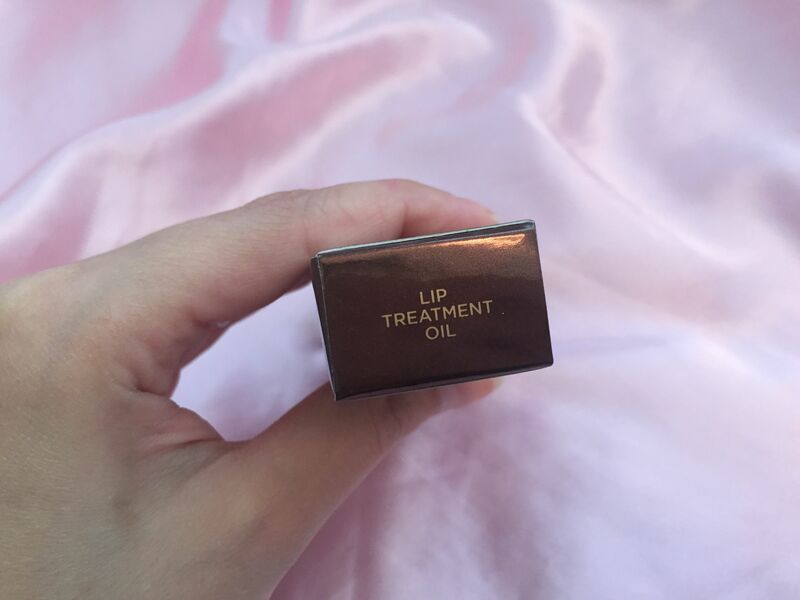 If you do care about perfect shine, use Dior Addict Lip Polish. 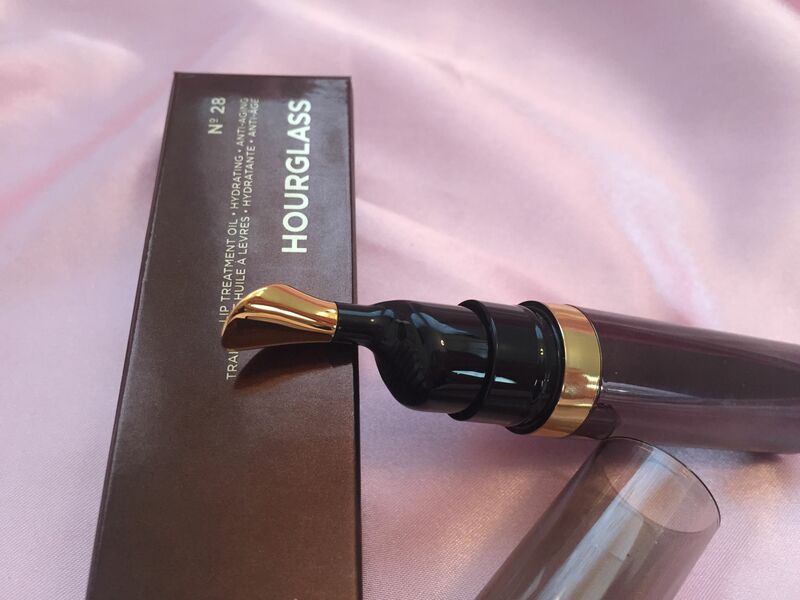 It’s not as hydrating as Hourglass Lip Oil but it will give your lips an awesome glow. 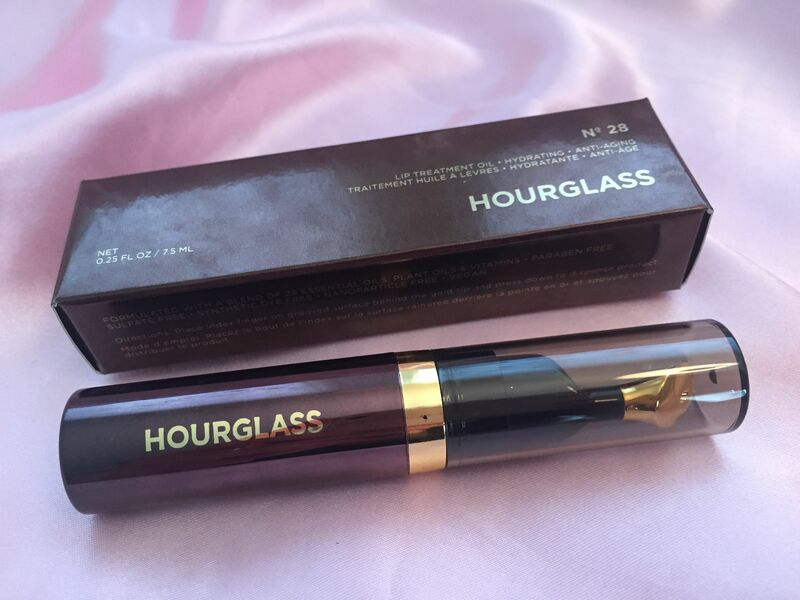 Overall, I am happy with Hourglass N° 28 Lip Oil: it does its hydrating job and my lips feel pampered and luxurious when I use it. I am also in love with the case and the applicator. However, there are dozens of other lip products that do similar job but cost so much less. I probably won’t buy it again.